Street to Home is an assertive outreach program that supports people who are sleeping rough or experiencing chronic homelessness. Many people continue to be trapped in a cycle of homelessness, often transitioning from unstable accommodation to emergency shelters to rough sleeping. This can continue for many years resulting in a state of chronic homelessness. Moving out of this cycle requires access to affordable and permanent housing and a range of integrated support and healthcare services in order to maximise the potential for tenancy success and prevent a return to homelessness. Street to Home is dedicated program to support people who are sleeping rough or experiencing chronic homelessness to move into stable, sustainable, long-term housing. The team operates 20 hours per day, seven days per week from 6am – 1am. We are a multidisciplinary team of Nurses and Support and Advocacy Workers delivering housing support and Integrated Healthcare outreach services across Brisbane. The Street to Home program is available to individuals, and families who are currently experiencing homelessness, in that they do not have a safe, stable home to call their own. This includes people who are living on the street, in parks, in cars, in temporary shelters or couch surfing. “One afternoon the Micah team turned up and said ‘Good news: you've got a place. We’ll come and pick you up in the morning',” Thomas. Photography: Craig Holmes. Street to Home provides a range of very practical housing, support and healthcare services designed to help individuals and families find and sustain appropriate housing and to access and manage their healthcare needs. We aim to minimise the amount of time that any individual or family spends experiencing homelessness. Outreach occurs in parks and other public spaces where people sleep rough, in private homes and in the community wherever our services are required. These services are spread along a continuum from prevention of homelessness and crisis response through to supporting people who are chronically homeless to break the cycle. understand the rights and responsibilities of any new tenancy. As with all Micah Projects programs devoted to maintaining successful tenancies, Street to Home adopts a holistic, evidence-based approach. We recognise that issues related to housing, health, social isolation, employment, education and income are all interconnected, and that solutions to these challenges require an integrated approach. To find out more about the Street to Home program, including eligibility criteria for individuals and families, please contact us. If in doubt, call. We are committed to helping people experiencing a housing crisis, ether directly through one of our Micah Projects teams or by providing information about the best organisation to contact. Street to Home is an outreach program that is based on the Housing First approach. Micah Projects is devoted to delivering programs that achieve maximum positive impact by drawing on the best evidence-based research available for the prevention and ending of homelessness. 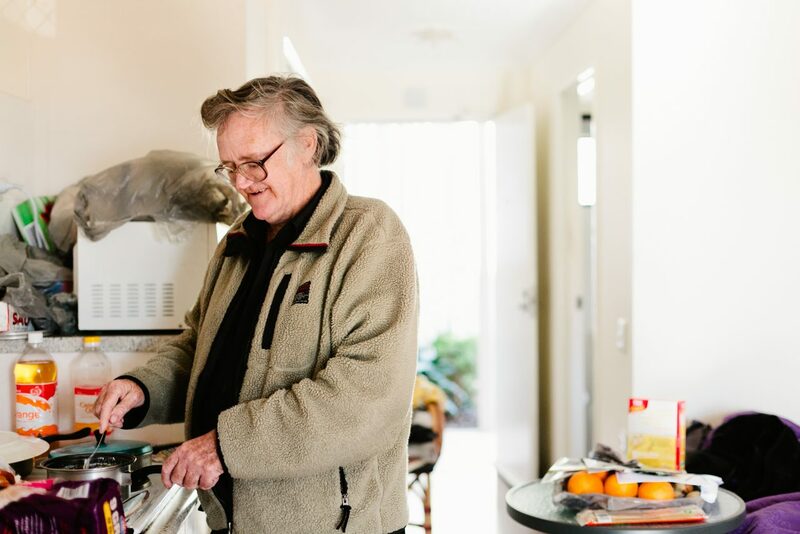 A Housing First approach to homelessness in Brisbane; Sustaining tenancies and the cost effectiveness of support services A three year research project by Carolyn Mason and Dr Peter Grimbeek, 2014. The program is funded by the Queensland Government Department of Housing and Public Works. The Street to Home Integrated Nursing Services are funded by Brisbane South PHN and Brisbane North PHN. Micah Projects is a first port of call for people experiencing or at risk of experiencing homelessness in the greater Brisbane region. We offer a range of support services including a street outreach program, programs designed to help prevent homelessness, Integrated Healthcare services, and support and referral services to help people access secure, affordable housing options. Our staff have an extensive knowledge and experience in the delivery of services and support to people experiencing homelessness or at risk of experiencing homelessness. We assist individuals and families who are currently experiencing homelessness or are at risk of experiencing homelessness. We can provide information and advice which may assist you to resolve the issue. We provide information and advice to everyone who contacts us, whether they are the person in crisis or someone assisting them. Micah Projects does not have housing stock of its own to provide to people experiencing homelessness, and does not operate a shelter or emergency accommodation service. We do however have extensive knowledge about the services and support available, both from our organisation and from others, and we can refer you to the most appropriate team or partner organisation (the people most likely to be able to assist you soonest). There is a range of services operated by Micah Projects designed to help prevent and address homelessness. This includes the provision of direct support to complete housing application forms, including requests for emergency housing or social and community housing. We work closely with the Department of Housing, and can assist you to prepare applications for additional support such as rental bond loans. The Coordinated Access team triages and responds to referrals from hospitals of individuals who require housing assistance and integrated healthcare and support. Micah Projects adopts a Housing First approach to inform the integration of nursing services into the Home for Good teams. While our staff can refer individuals and families in need to the most appropriate people for support services (within Micah Projects or externally), our team can act as the as a primary contact point, liaise with partners to help people stay on track towards safe and affordable long-term housing. As with all Micah Projects’ services devoted to maintaining successful tenancies Coordinated Access adopts a holistic, evidence-based approach that recognises that issues related to housing, health, social isolation, employment, education and income are all interconnected, and that solutions to these challenges require an integrated approach. 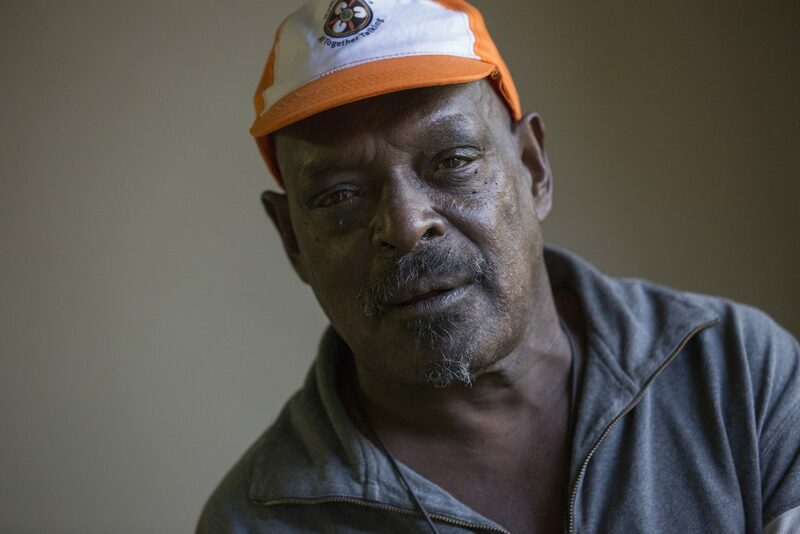 “When you’re on the street the future doesn’t look good, but here there’s a bit of hope,” Robert. Photography: Katie Bennett. We are available to provide information and advice over the phone from 8am to 5pm, 7 days a week. Phone 3036 4444. You can also email us. Information and advice is available to people in crisis or people looking to refer someone for support. Home for Good Coordinated Access team incorporates a Housing First approach. The program is funded by the Queensland Government Department of Housing and Public Works. Micah Projects is part of a consortium of service providers who work to support people at risk of homelessness to maintain their existing tenancy or accommodation where possible, and/or to access more sustainable accommodation for the future where appropriate. We provide support for private and public tenants to sustain their tenancies through a range of services including tenancy support, advocacy, case management, financial counselling and referral services. provide access to integrated post-housing support in order to prevent a return to homelessness. are at risk of not maintaining a tenancy. We provide a range of very practical support services designed to help individuals and families find and sustain appropriate housing. assist with the One Social Housing application process where necessary. We adopt a holistic, evidence-based approach that recognises issues related to housing, health, social isolation, employment, education and income are all interconnected, and that solutions to these challenges require an integrated approach. Read the Parson's family story. To find out more, including eligibility criteria for individuals and families, please contact us. If in doubt, call. We are committed to helping people experiencing a housing crisis, ether directly or by providing information about the best organisation to contact. Micah Projects Child Aware Approaches Project Literature Review Authors: Clare Tilbury, Peter Walsh and Jennifer Osmond, Griffith University School of Human Services and Social Work, 2013. Micah Projects believe that Supportive Housing – the provision of permanent, cost-effective housing along with supportive services and healthcare is the solution to homelessness. 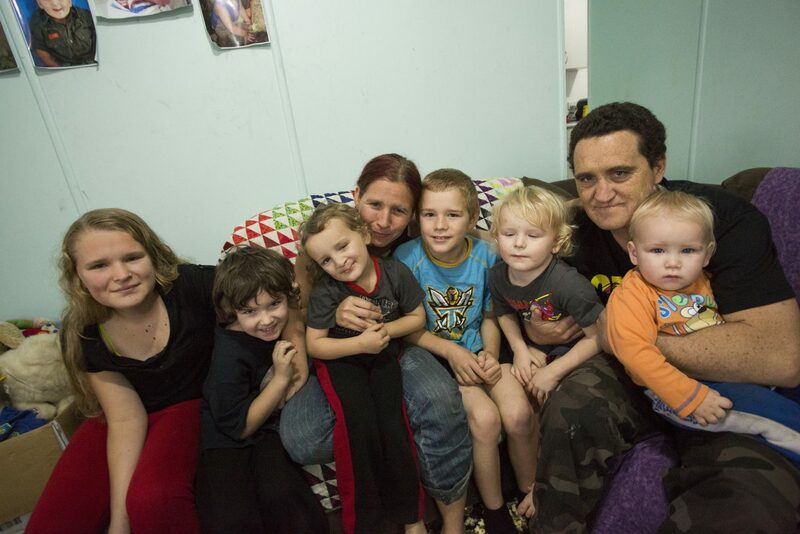 Supportive Housing can provide an immediate solution to ending the homelessness of the most vulnerable and chronically homeless people in Queensland. Chronic homelessness is the long term or repeated homelessness of a person, who often is living with a disability, including a mental illness or addiction. Supportive Housing is ethically responsible, evidence-based, and cost-effective. Micah Projects offers Supportive Housing through our on-site 'Supportive Housing – Hope Street' team. Integrated Healthcare is a key component of the support services provided by the team. The seven-day-per-week healthcare is provided by nurses who are employed by Mater Health and funded by St Vincent’s Private Hospital Brisbane, Mater Health and Mater Foundation provide nursing care as part of the Supportive Housing team. Micah Projects works in collaboration with Common Ground Queensland in the advocacy for and operation of Queensland’s first dedicated supportive housing building: Brisbane Common Ground. Micah Projects provides 24/7 support services to tenants who require it and Common Ground Queensland provides the tenancy and property management. The transition from homelessness to creating a home is not always easy. The impact of traumatic experiences, disconnection and living in public spaces, all influence how a person makes this transition. In order to give each person the best possible opportunity, Micah Projects liaises with community services, healthcare providers and education and training institutions to take a collaborative approach to supporting a person. Brisbane Common Ground at 15 Hope Street, South Brisbane brings together the right ingredients to help tenants make a home. It is affordable, with rent based on a percentage of income. Tenants have the stability of a General Tenancy Agreement and can live in Brisbane Common Ground for as long as they meet the terms of the agreement and it remains the housing of their choice. To find out more about Brisbane Common Ground please contact us. Micah Projects receives funding from the Queensland Government through the Department of Communities, Disability Services and Seniors to provide Supportive Housing services. *While Rachelle chose to transition into private rental, tenants can live in Brisbane Common Ground for as long as they meet the terms of the agreement and it remains their housing of their choice. In all ways it offers a permanent, stable home. The integration of nurses into Micah Projects teams is informed by a social model of health that recognises that a broad range of social factors, in addition to the presence or absence of disease, impact upon people’s health. In adopting a Housing First approach, healthcare, housing and social support services are delivered to achieve improved outcomes for people who are vulnerable and experiencing homelessness. The Street to Home After Hours Nursing Service and the Pathways Hospital Admission and Discharge Pilot Program have demonstrated significant cost savings. For more information please visit Micah Projects Integrated Healthcare Webpage. If you or a family member or friend are experiencing domestic and family violence, please call (07) 3217 2544. Support is available 24 hours a day, seven days a week. This website is full of information regarding our services. If you are in need of help or information please call us. If Micah Projects Home for Good can help, our staff will put you in contact with the person in our organisation who can assist you. If you prefer to call other services directly, the Organisations below may be of assistance. This service can help by providing information about an immediate safe place to stay, practical assistance such as where to get meals, showers and clothing and advice and support. Brisbane Domestic Violence Service (BDVS) is Micah Projects service for woman and children experiencing or at risk of experiencing domestic and family violence. Phone (07)3217 2544. For more information please visit the dedicated BDVS website. Lifeline Lifeline provides access to crisis support, suicide prevention and mental health support services. Phone 13 11 14. Queensland Ombudsman The Queensland Ombudsman's Office is an independent complaints investigation agency. Their role is to ensure public agencies (state government departments and bodies, and local councils) act fairly and make the right decisions for Queenslanders. They also help public agencies improve their decision-making and administrative practice for the benefit of the community. If you believe that a public agency has made an unfair or incorrect decision about an issue that affects you, they may be able to help. Phone (07) 3005 7000 / Toll Free (landlines only) 1800 068 908. For information on more services view Micah Projects useful links.